Remember, my dear Ink Shotters, that in another life I am an urbanist. Thus cities are of great interest to me, and right now the city I am immersed in is Manila. 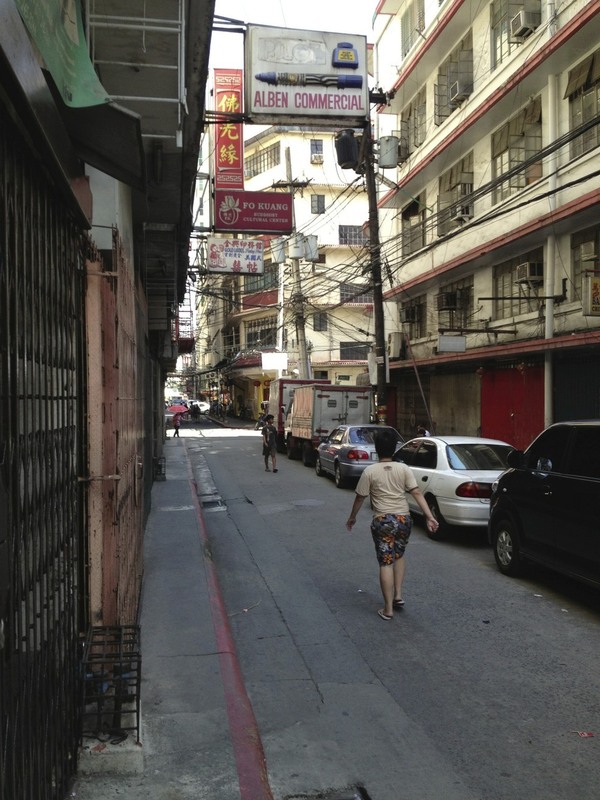 This photo was taken in Chinatown on a Sunday afternoon, Palm Sunday in fact - hence it looks kind of quiet. Before I came here, this is what I thought Manila would be like everywhere. The reality is somewhat different, although there is still plenty of this kind of urban density to be found in the city. Not surprising that there is a lot of variety in a city of roughly 20 million people (greater metropolitan area). This afternoon I am going down to Intramuros, the old walled city. Rebuilt now after being nearly obliterated in the culmination of World War II, when it was besieged and pounded with artillery.